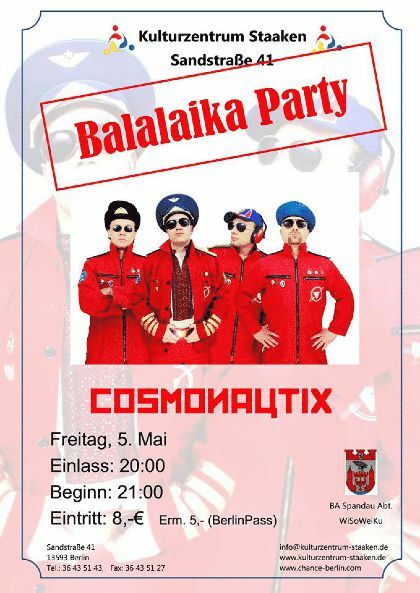 The well known sonic space explorers - the Cosmonautix, have just landed from their journeys to our city! 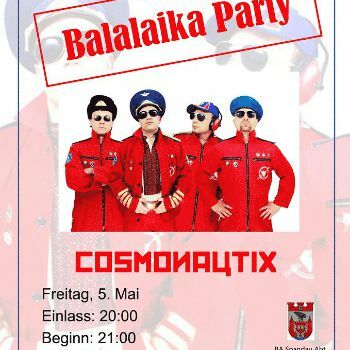 Under the motto "Balalaika Party" a wild flight awaits you in the musically rich rocket party from Spandau over Baikonur to the Russian module of the International Space Station! Wanna get a bigger insight of Cosmonautix's vibe? Have a look at the Energija album we released together!